Baby Carter, Born on 22 Aug 2018. My first born son and only child. Oh how magnificent this experience was. from the moment I stepped into the hospital to the moment I left there was so much joy and love all around. I cannot thank the staff of the hospital enough as they took amazing care of me. When I saw carters face for the first time all I could feel was the overwhelming feelings of joy and complete happiness. Weighing in at 7lb and 13 oz every single part of him had my heart. 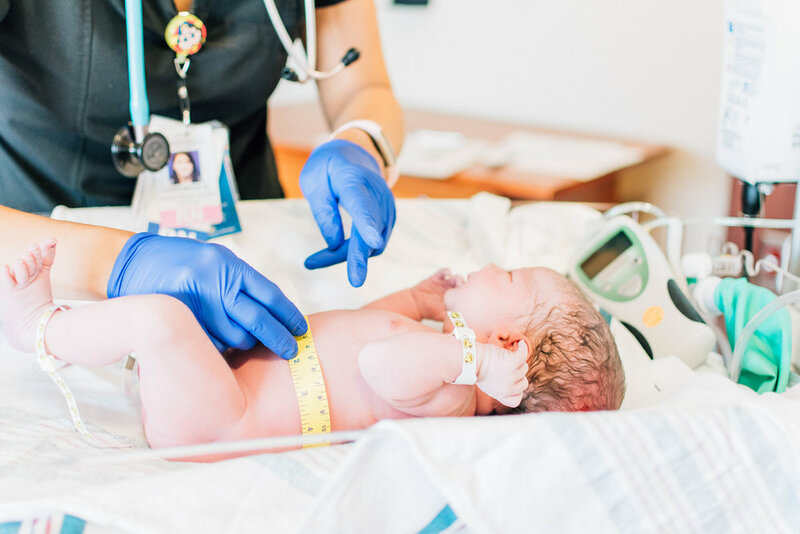 As an El Paso newborn photographer it was truly humbling to be able to capture these images of my son, From his first breath to his first bath I was there camera in hand every step of the way to capture the raw emotion within the room. I give thanks to my boyfriend for being there to hold my hand every step of the way and being my rock when things got tough he truly was a blessing. How was your birth experience? comment below and share your story. The Basto Family!, I met this adorable family while I was building my portfolio originally, Halie had reached out to volunteer to be my family model; as we conversed for a couple weeks we set a date and I couldn’t wait to capture all of there raw and beautiful moments. As we got know each other I learned Halie had met her husband through school and as soon as they clicked they were one in a million for each other, I mean look at them what a gorgeous couple! Soon after having a successful loving relationship they welcomed baby Kingston into there lives and let me tell you what a sweet bundle of joy he is, paired with his adorable sass is a smile that lights up a room. Kingston was so photogenic and giggly and just such an overall pleasure to know. We originally had planned for a park for our session, which sadly didn’t work out (It was closed). After driving around we ended up finding this gorgeous lush green location with all of these wonderful logs and old tree trunks as our back drops. If you know El Paso these spots are far and few so we stumbled on an amazing secret spot (Shhhh). Full of laughter and giggles I was able to capture raw and authentic candid shots of the Basto family not only showing there character but the pure love they have for one another. The weather ended up being not to bright and not to gloomy just right producing the most gorgeous keepsake images, the best part of the session I would have to say was the overall atmosphere, not only did we all click so well it made working together a memory I wont forget, a session full of laughter and just pure comfortability around one another. I am so happy I am able to share these images and this cute backstory as I feel it gives you the true individuality behind each shoot I do and an insight on the beautiful people I capture. The main question, What to wear!! Alright guys lets get to the most dreaded question of all sessions, WHAT to wear! With the stress of never knowing what to wear, well Im here to help ease that stress with this helpful post. As a photographer here in El Paso, TX I know we don't always have a lot to work with wether it being scenery, lighting or just locations being available at certain times. with these stresses sometimes sessions can get moved to an unexpected location you weren't really planning for am I right? with most locations having relatively the same neutral earthy tones being created in our outfit choices can also come as a challenge. To the right you see a dense Barron of land a lot of browns with a hint of green, this lovely couple shot by ( Brooke Bakken) decided to liven up the area with a pop of bright yellow while her spouse wore a soft blue. When looking at her dress you notice how lovely the sun just hits it and makes her blend so incredibly well with her surrounding while still giving her the effect of pop. 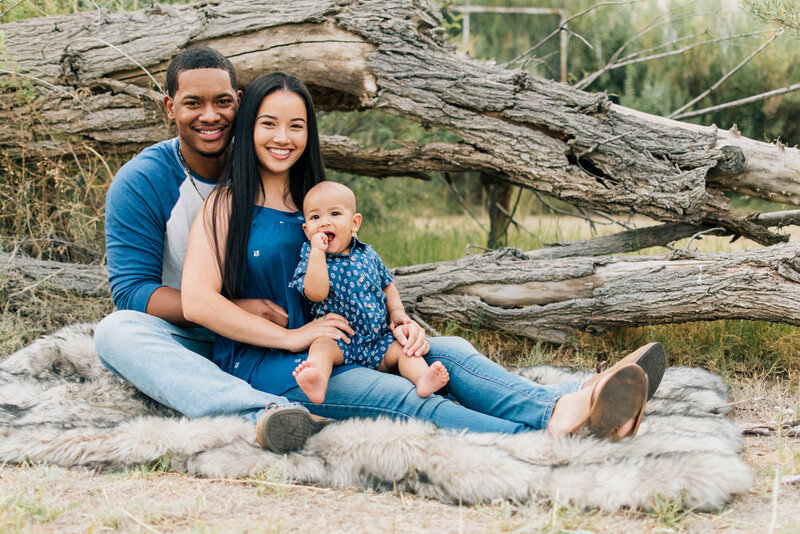 Above you notice a gorgeous family photo, also with a soft desert scene in the background, when styling larger families color coordinating can be tough and also be offsetting. Having a variety of shades of color really can give a whole new look. While mom is in a darker pink you notice the girls an lighter shade giving great offset to the image. You never want to have everyone in the exact same colors not only can it hurt the image but it doesn't give the eyes any depth to appreciate. Color palette, Color palette, Color palette! I cannot say thet enough always try on your clothing before hand to see how they mesh. Overall take away, Look for colors you can pop in your location without being to over bearing. Colors I recommend for the desert scenery are White, Taupe, Shades of pink and yellow, blues and soft pastel greens. Im Nyesha the photographer behind PNW, I am a fiancé (Yay almost wife! ), Mom and fur mom to a house full of boys. I am a lover of the outdoors and everything rustic, most weekends you can either find me hiking, shooting or home with my family watching HGTV cozied up making the sweetest memories. I am from Washington state currently living in El Paso Texas. some prefer the cold wet and rainy but I just can't stand to be away from the heat. I found my way to Texas through the military as I am prior service and I just couldn't find the will to leave not only is the food AMAZING but the area is just so well cultured, it truly is a place me and my family can call home. Capturing the love and unreproducible memories of today is so important and I love being able to be a part of someones special day, seeing the smile on your face because I was able to capture the milestones in your life just warms my soul. As a wedding and portrait style photographer I can never say no to the occasional births, the amount of love and passion is so strong that it just radiates around the room. I believe in being able to capture memories that you and your family can cherish for a lifetime. My style is Raw and natural, I want to capture your moments the way they were seen through your eyes. capturing raw emotion isn't easy but connecting with my clients is something I pride myself on, I want to capture the most natural smile and the most exciting moments. as every family is different I feel posing doesn't work for everyone; sometimes the candid shots show the true emotion behind a memory, I will always try to keep the atmosphere as comfortable as possible and make you laugh uncontrollably. One thing I cannot stress enough is that my line of communication is always open for questions and concerns, No matter if its 1 am or 1 pm I will never intentionally ignore a client if I am awake I will be happy to have a full on conversation with you to ease your mind with any concerns you may have. I know planning a shoot can be stressful but I am 1000% committed to carrying that weight and making this experience the best you've ever had with a stress free environment. When you come to me you are family and I will always do my best to make you feel that way.